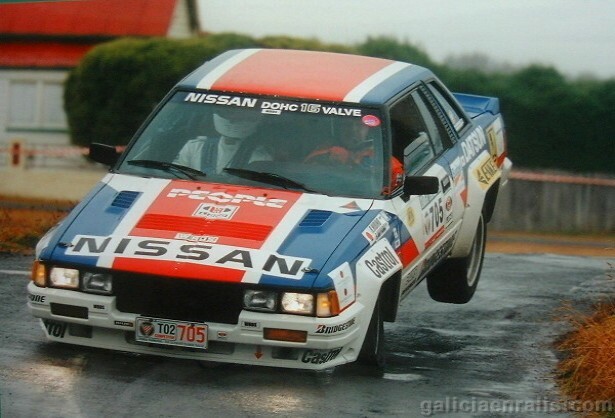 Nissan had had success in motorsports for many years. In 1982 it took a great leap from the 280ZX rally cars of the 1970s into the world of Group B rally. The Nissan 240RS (chassis code BS110) was developed for Group B. It was powered by a 2.4L DOHC engine also known as the FJ20. Power was transfered to the rear wheels using a Nismo competition trasnmission. The 240RS was powered by a new engine developed for Group B. 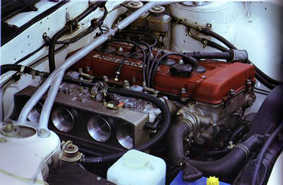 The bore and stroke was increased from the popular 2.0 liter FJ20 engine (89mm bore / 80mm stroke), to 2.4L (92mm bore / 88mm stroke) to be known as the FJ24. The FJ24 is unique among the FJ Family in that it used a Twin Webber carburator fueling setup instead of Electronic fuel injection. The FJ24 also used larger ports, thicker conrods and much shorter pistons which resulted in a very high compression ratio of 11.0:1. This motor was developed soley for the purpose of rallying.